21,000 adults living in Muskegon County would struggle to read this sentence. According to the State of Literacy in America, 18% of Muskegon County residents 16 years or older function at the lowest literacy level. The term functional illiteracy refers to those individuals who, even when knowing how to read and write simple phrases, do not have the basic aptitudes to satisfy the demands of their daily needs nor to develop themselves personally and professionally. 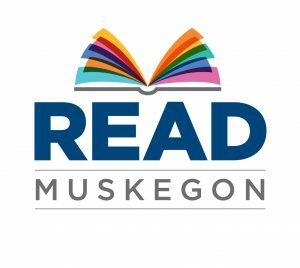 In 2014, 61.76% of the learner’s being tutored by Read Muskegon volunteers read at or below a 4th grade level and 20.56% read at or below a 1st grade level. Illiteracy is not just about reading, it’s at the root of what keeps many adults stuck in the cycle of poverty. The ability to read impacts almost every aspect of someone’s life. Adult illiteracy costs the US more than $225 billion annually in non-productivity and lost tax revenue. Adults with low literacy levels are more than twice as likely to be unemployed. 1% of job applicants lack the literacy level needed to do the job they are applying for. There is an 8.6 % increase in employee productivity for each additional year of education. A 1% increase in the literacy rate = a 1.5% increase in the GDP. On average, an illiterate adult spends $13,000 per year on healthcare related costs vs. an average of $3000 for all others. Adults with low-literacy have a 50% increased risk of hospitalization. The cost of low-literacy on the Healthcare system is between $100 and $236 billion per year. Of the 23% of Americans who are illiterate, 20% graduated from high school. Children of low-literacy parents begin school significantly behind their peers. There is a direct correlation between a young person’s test scores and the grade level attained by their parents. According to the MI Dept. of Education, 49.5% of 11th graders in Muskegon County did not meet reading standards on the 2012 Michigan Merit Exam. 2/3 of children who cannot read proficiently by the end of 4th grade will end up in jail or on welfare. 75% of state prison inmates in the U.S. are functionally illiterate. *Statistics from: National Center for Education Statistics: Adult Literacy in America, ProLiteracy, literacypartners.org, ccsu.edu, Kids Count.